One of the biggest challenges of business management – and one of the most important – is undoubtedly customer support. Customers need to feel like the solution to their problems is just a click away, which means that you need a comprehensive system to handle all of that feedback. Luckily, Wix has developed one of the best customer support software out there – Wix Answers. There’s an extensive knowledge base, a ticketing system with incredible tracking and distribution solutions, and built-in call center software with all the features of a stand-alone system. So, what happens when you build this framework, test the daylights out of it, and then offer it to the public? A comprehensive knowledge base can help your customers find the answers they need through tutorials, support articles and FAQs. With Wix’s Customer Support Solution, you simply select and customize a template for your help center that best represents your business. From there, you use the content editor to add text, video and images. Article templates make it easier than ever to create FAQs and tutorials on-the-fly, so if this is the type of stuff that traditionally makes your eyes glaze over, you’re in luck. Wix does a fantastic job of easing the pain so that it’s over in the blink of an eye. Well, maybe not quite that quick, but you get the point. You can even set up innovative search filters and synonym configurations to make it easier for customers to find information. The tracking system allows you to keep a record of ticket information. You can even add labels to the tickets, highlight support tickets and allocate them to your CSR’s. Smart and automated recommendations are available based on the content in your customers’ support tickets. You can prepare automated answers for your customers in advance. Think of it as FAQ, but on steroids. This will save you a tremendous amount of time in the long run. It’ll also give your customers warm fuzzies, since they’ll feel you’re uber-responsive to their needs. This fosters good will, and leads to long-term, recurring customers. You can send your customer’s knowledge-based articles and tutorials, if applicable. The ticketing system allows you to respond to client queries through the customer service software, regardless of whether they contact you by phone, email or social media. An advanced filtering mechanism lets you group tickets and responses for review. 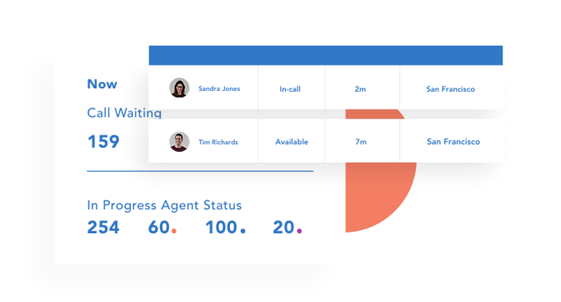 You can filter by response times, agent performance, and customer ratings, which makes running reports and status updates easier than ever. Monitor your team’s customer service work, as well as allocate assignments to groups or individuals to make sure that they go to the right place in the ticketing system. Easily view who is answering tickets on time – and who is not. Disseminate information to the entire team, or just to select individuals. Whenever an agent is mentioned in a ticket, they receive an instant notification, which they can then act on immediately. Wix’s Customer Support Solution includes integrated call center software so you can receive and make calls from anywhere, anytime, and in any language. Oh right, and you don’t have to download new software to make this a reality. Instead, you use the same exact platform that you use for your help center and ticketing. 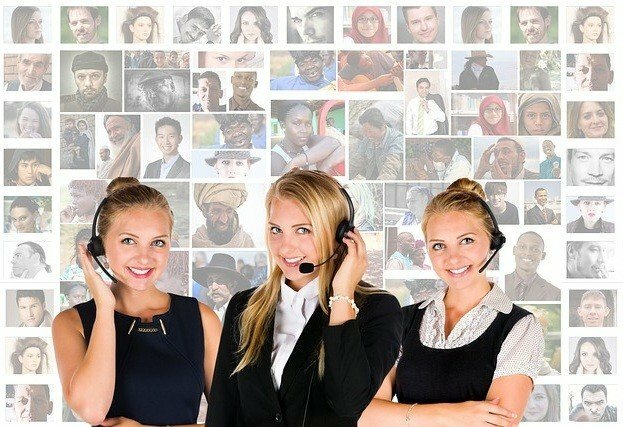 With the call center software, you can simultaneously make and receive calls from multiple phone numbers to better assist your customers in a timelier manner. You can connect your call center to different call-in numbers as well, so you can offer your customers a toll free line as well as local phone numbers, if you deem it necessary. Take advantage of a plethora of customization options, which means you can modify your logo, change colors and add the background image so your help center will match your brands look and feel. Plus, you can rest easy knowing that it will look amazing on any device. With Wix Answers setting up a comprehensive help center becomes easier than ever. The development team at Wix clearly understands business owners’ needs, and has funneled that understanding into a powerful system that covers all aspects of customer support.